The online option is now closed. You can pay at the door! Chanukah on Ice NYC is back at Wollman Rink! Guests will skate to live Jewish music throughout the night, accompanied by a life-sized dreidel mascot. Attendees will enjoy complimentary hot drinks, hotdogs, vegetable soup, and traditional latkes and holiday doughnuts. 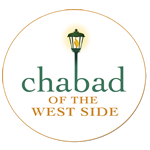 New this year: BE A VIP MACCABEE! Gold Menorah Sponsorship gets you 8 tickets including skate rental, reserved seating, Chanukah on Ice NYC beanies and a complimentary gift bag! Silver Menorah Sponsorship includes 4 tickets plus skate rental and all of the same perks of Gold! RAIN/SNOW POLICY: In the event of inclement weather, the rink may close and the Chanukah on Ice event will not take place. If that is the case, we will give vouchers to all those who reserved, so they can return another time. If it is drizzling, snowing lightly or very cold, the rink will remain open and our event will be on. There will be no reimbursements if you choose not to come. There are no refunds if you decide not to come. You can transfer your ticket to someone else if you can't make it. Just have them give your name when they enter. In case of illness, we will give a refund.